Wesley and Korey are inseparable. They started snowboarding and skating very young (unusual for the Midwest), and became friends as a couple of toddlers on the slopes. For six weeks, Korey missed his friend on the slopes while Wesley was stuck indoors with a cast that went all the way up to his shoulder. At the mall that year, 4 year-old Wesley told Santa all he wanted for Christmas was a short arm cast and Korey told Santa all he wanted was to snowboard with his friend. Santa was pretty bewildered, but promised to try and deliver. In January, Wesley got his short arm cast and Korey got his riding buddy back. Of course they immediately started racing. Too fast. Much. Too. Fast. But they’re oblivious to the frequent mini heart attacks they give their parents. 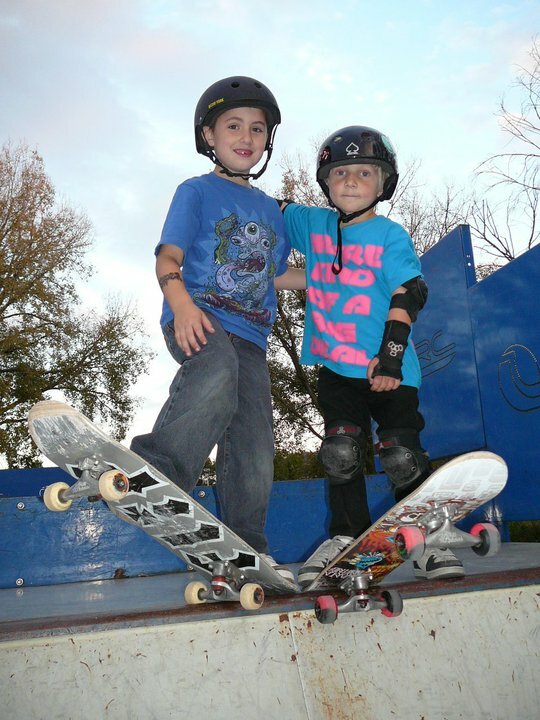 Speed, tricks and jumps are normal life to these kids… and they’re unaware their way of life isn’t actually “normal”. They share their sorrow each spring when the snow melts, but soon find comfort in their skateboards. By the time winter comes around again, Korey is the ONLY person who understands how torturous waiting on the snow has been for Wesley — and vice versa. You can’t make up riding games, debate the pros and cons of super secret new tricks (have you heard of the X belt? It’s the next big thing. 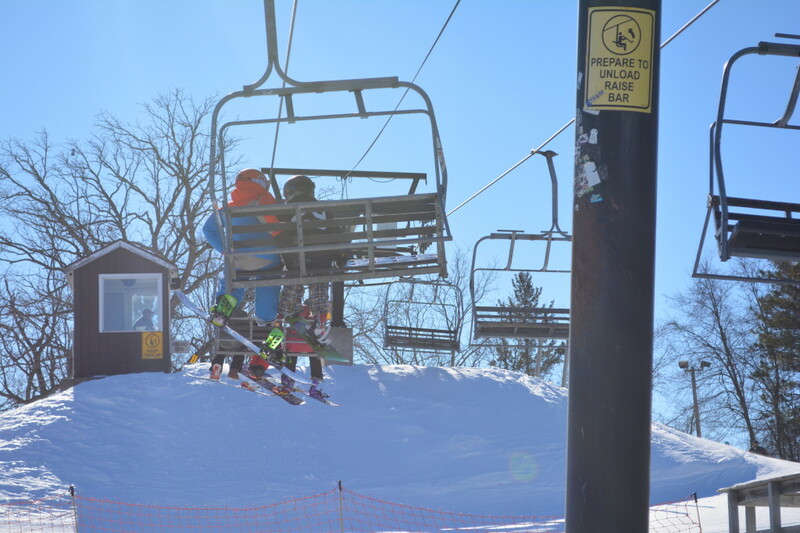 During this particular lift ride, I’m pretty sure they were discussing obtaining a patent), or be best BEST friends with your childhood riding pal unless you sit like this on a chairlift. Wesley and Korey have both received attention for snowboarding; both like to compete; both dream about the X games; both sneak one last run by the ski patrol when closing time comes. At heart, they’re just a couple of kids playing in the snow. And they’re always together. In fact, they keep each other safe… well… I’m going to rephrase that. Korey helps keep Wesley safe. This is because Korey is concerned with his own self preservation and that of his friend, and Wesley is not. I’m hoping Wesley will grow into having a sense of self preservation… cause, you know, I’m his MOM, and I’m the one having heart attacks. That’s not to say that they don’t BOTH do some crazy things in the terrain park that make their parents question the decision to allow them to participate in extreme sports. But if Wesley is saying they should hit a huge jump, and Korey is saying they shouldn’t… I’m voting for Korey’s assessment of the situation. I once saw a t-shirt that pictured a snowboarder flying through the air with the words, “Confidence: the feeling you have before you fully understand the situation.” I would like to plaster those words on Wesley’s helmet — and maybe the back of his jacket as well — so that everyone around him knows just who they’re dealing with! Korey knows Wesley all too well, and I’ve frequently heard him good naturedly utter the phrase, “Wesley… you’re crazy!” Korey is the rider who checks what’s beyond the cliff, makes a plan, determines his speed, and practices hard before dropping off that cliff. And when he does he nails it. Wesley goes bombing at the first cliff he sees… and if there happen to be rocks on the other side — well, he’ll figure out what to do while he’s in the air figuring out what to do. At the TransAm, there are two rounds… the first round and the finals. Korey (9) and Wesley (7) wanted badly to make the finals together. They exhausted themselves time after time as they threw down their best tricks, then unstrapped their boards to hike back up. Wesley made the finals. Korey didn’t get through. This was not good. Korey and Wesley wanted to ride TOGETHER in the finals, and were upset that they couldn’t. They often compete together and it’s a toss up who comes out on top. Wesley was sad to ride without his friend and Korey was disappointed (though he did say he wouldn’t miss hiking that hill). Then something amazing happened. The next round started and Wesley began throwing down tricks. Korey watched intently for a minute. Then he turned to me. “Wesley is KILLING IT!” he shouted. 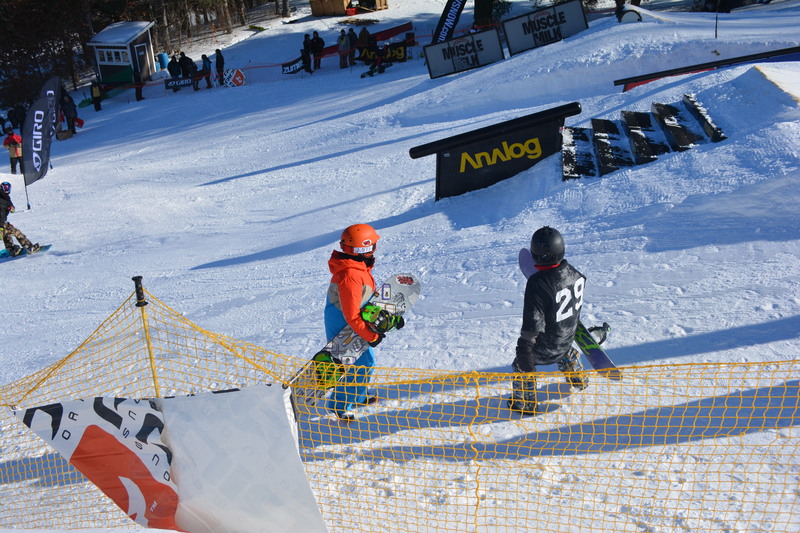 “I think he should win!” Korey ran down to the bottom of the terrain park where Wesley was unstrapping his board and started giving him a pep talk. Then Korey hiked all the way up the hill next to Wesley as he told Wesley what tricks he should try and how awesome he was doing. Wesley strapped his board back on at the top and charged at the rails. “GO WESLEY!” Korey screamed. 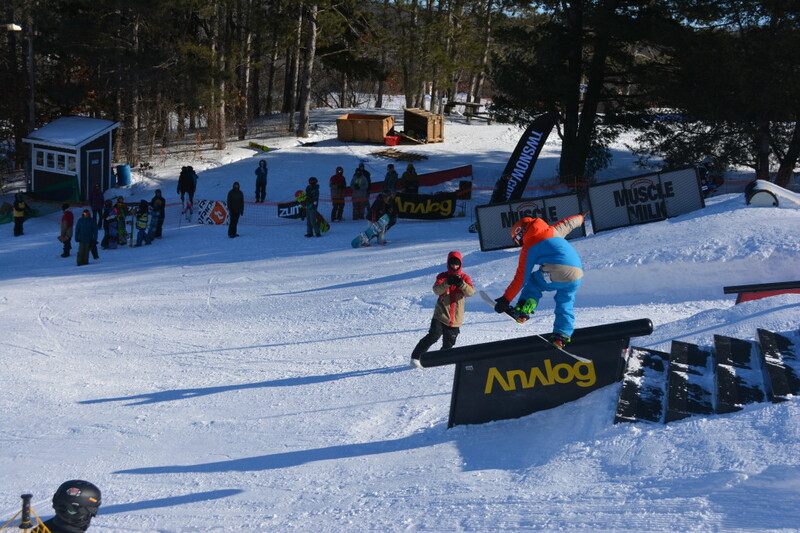 Then he ran back down to the bottom of the terrain park again to tell Wesley which tricks had looked the best. Again, the two friends hiked up the hill together. Only Wesley was required to do so, but Korey knew his friend needed him. They did this again… and again… and again. Every time Wesley rode down the course, Korey ran down beside it and was there to hike the hill with Wesley. 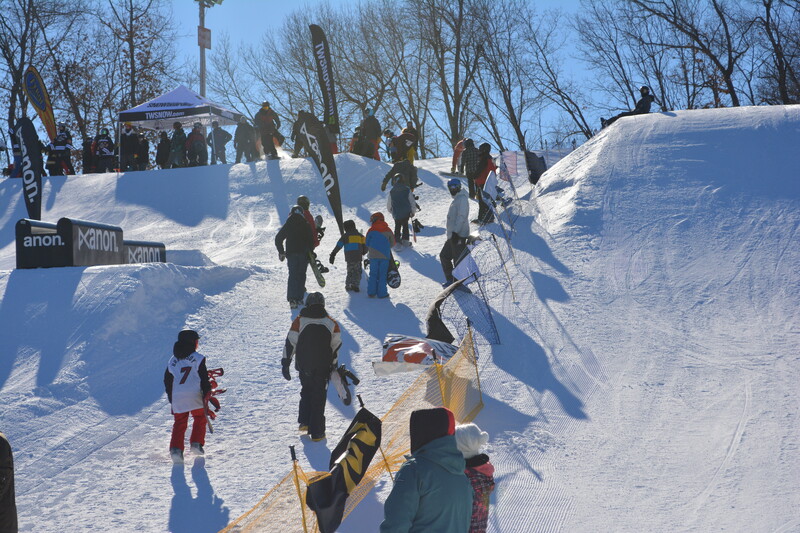 We’re talking about a kid who said he never wanted to hike the hill again after the exhausting first round (I hiked it once and was exhausted myself so I can’t imagine having to do it repeatedly)… and there he was, so happy for his friend, so excited to encourage him, that he was repeatedly hiking a terrain park he wasn’t competing in. Not once did he let his friend hike alone. I couldn’t believe my eyes. Here were two grade school kids, who had MASTERED the balance between competitive rivalry and friendship — something many ADULTS struggle with! 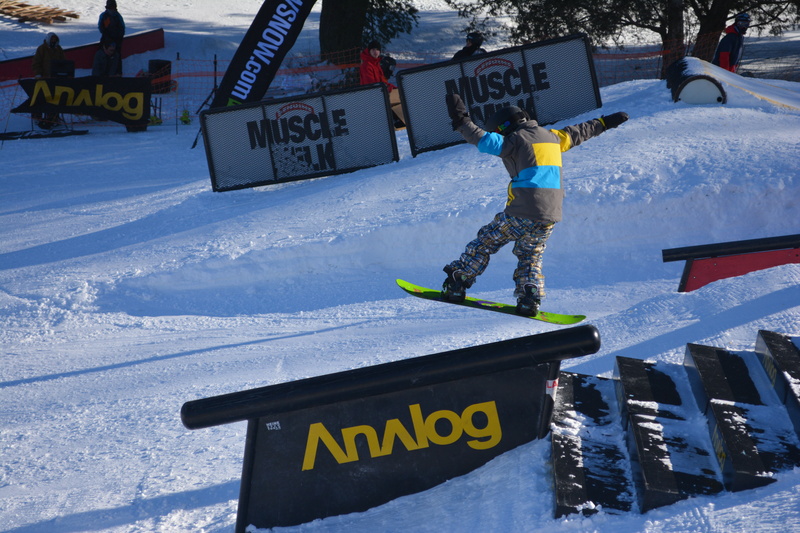 And trust me… I’ve seen these adults at snowboarding nationals. It’s not pretty when parents are yelling at coaches… judges… AND EACH OTHER, because their precious didn’t get the score they wanted. Athletes and parents of athletes in any sport, take note. This is how it’s done. This is character. This is where it counts and where champions are made. No matter how many tricks you stomp, competitions you win, or medals are in your trophy case, what will be remembered is your character. Your humility. Your grace under fire. Character is the reason so many professional athletes are branded as spoiled brats. They lack it. No athletic accomplishment can fill that void. And a legacy lacking in character is a legacy soon forgotten. Wesley didn’t win the TransAm of course — despite Korey’s awesome pep talks — but was given a bag of goodies, including a new helmet, for being a “Pint Size Ripper”. (Does the Transworld staff know Wesley??? Protection gear is the best thing anyone could ever give him!) Wesley wanted to share the goodies with his friend, but Korey wanted Wesley to have them. They actually argued over who was going to keep stuff! 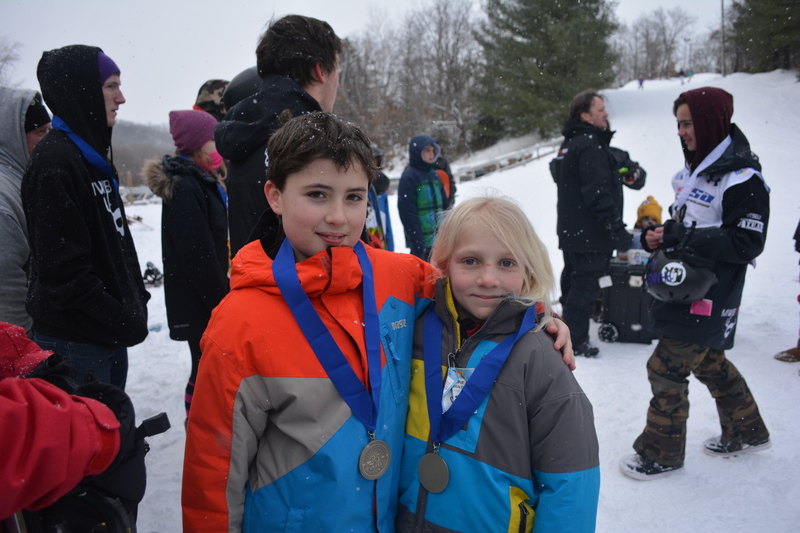 The next day, the boys each earned a medal in the halfpipe. My father once told me that if you are privileged with one true friend in a lifetime, you should count yourself blessed. Now I’m almost tearing up!! I can’t wait to see where life takes these boys!! …… and you will definetly need to write a book!! Thanks Ann! They are sure fun to watch!